Every individual business has their own individual ways of managing a contact. This is why GreenRope gives you the flexibility to do so in a way that works for you and your business. Creating User Defined Data Fields to store unique information about your contacts are just the beginning of what you can do. Once you have your custom fields setup, you can configure how you want to organize that information by going to Contacts > Visibility. The “Visibility” area allows you to determine how your fields are displayed and which fields aren’t displayed at all. Data can be arranged in particular sections or clusters. It is recommended to group similar information and data that you’d like to see together in the same cluster. Your visibility settings will affect your view in the “Contact Info” tab in your contact’s CRM profile. Within the contact’s profile, you can also track and manage all activities associated with that contact under the “CRM Activities” tab. This area provides you with the capability to see everything that has happened with that contact, from email clicks to scheduled meetings. CRM Activities are a great way to track your activities and interactions with a contact. The CRM Activities tab within a contact’s profile makes it possible to keep record of what you’ve done with that contact and set reminders for what you need to do in the future. By utilizing this feature, you are able to collaborate with your team members to monitor and manage who’s doing what. GreenRope provides several default activities such as “Phone Call”, “Follow Up”, and “Received Email”. Additionally, you can also create your own CRM Activities that are unique to your business under your “Account Settings”. Another valuable tool for managing your contacts are Opportunities, which give you with the ability to track and manage a sale. Opportunities provide you with the capability to define each stage of the sales process in order to easily monitor a contact’s progress through a sale. You’ll be able to identify purchasing trends, predict close dates, and ensure that your contact gets through every important step of the process. Learn more about using Opportunities here. 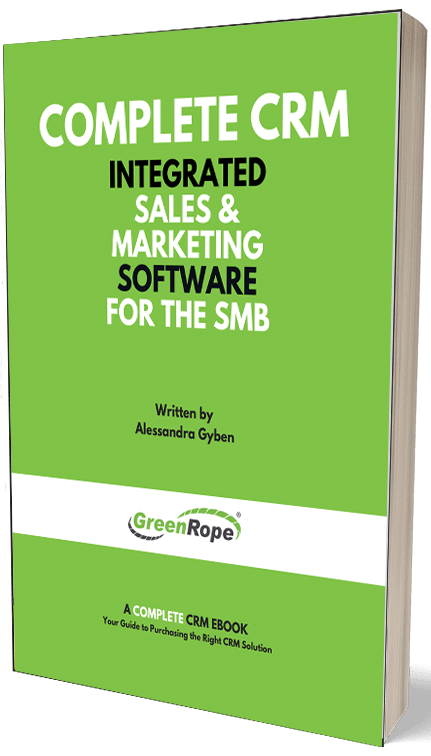 Drip Campaigns, Workflows, and Journeys are all valuable tools that you can use to automate your sales and marketing processes. These tools make it possible to improve the customer experience, personalize messages, and tailor communication. These can be activated based on a contact’s interests and user fields, or on specific actions such as signing up for an event or newsletter. Not only do these features allow you to market to your contact’s specific needs, but they also enable you to bridge the gap between departments. For example, your sales team may obtain important information about your customer and note that in their CRM profile. Your marketing team then can utilize this information to create a custom marketing campaign that is specific to their unique buying needs. Your operations team can apply that same information to creating a business proposal or contract. Read more about how marketing automation can boost your sales and engagement. Contact management is the bread and butter of your CRM. Combined with the right tools and platform, you can create and continue meaningful relationships with your contacts. With proper contact management, you can be sure that your contacts are getting what they need. And with the right data, your team can collaborate to be more informed, cohesive, and efficient.